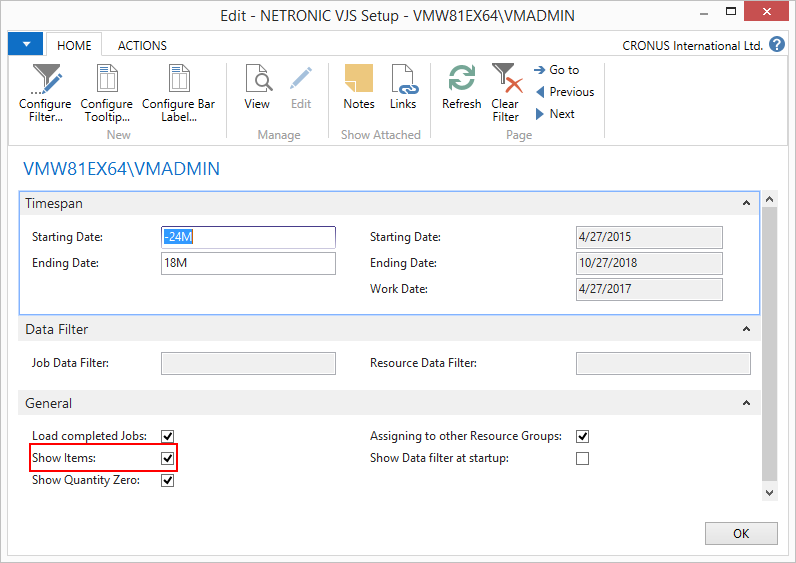 A few weeks ago I started a loose series of best practice blogs on the VJS, our Gantt chart add-in for easy project planning in the Microsoft Dynamics NAV jobs module by writing about how to move a complete project in the VJS by just one mouse interaction. 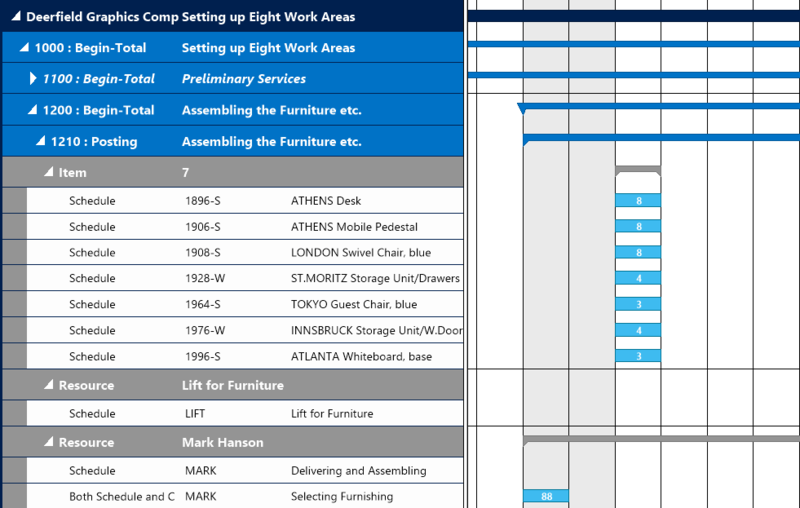 Today I'd like to continue this series by introducing yet another small but powerful visual project planning feature helping the planner to keep the overview of his project at all times: See the impact of showing or hiding items in a project plan, a feature a partner asked us to include in the VJS so that I'm sure it will be of great interest also for other partners and users. Now, imagine a plan containing lots of projects, all using a large quantity of items - such a plan might easily become a bit confusing. So, if the items are already delivered and scheduled, why have them shown any more? Why not hide them and at the same time clear up the plan a bit? This can be done in the "Setup" dialog which is called by clicking . As cannot be stressed enough, the "Setup" dialog holds small but powerful features, that often go unnoticed. So please give attention to the "Show Items" option and if the items are to be hidden, make sure to untick the box. The items are hidden and out of your way. And the nice thing about it: though they are hidden, they are not forgotten. Of course, in case an operation is moved, the depending items will move together with this operation.